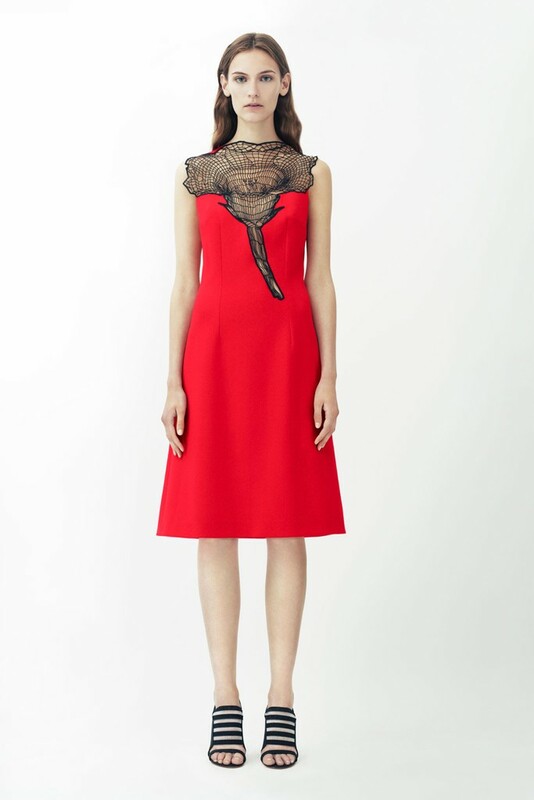 Christopher Kane and Christian Siriano had some pretty awesome collections for Resort 2014. They are both wonderfully creative. Kane's inspiration from nature, organic architecture and flowers really spoke to me, as it is very often where I too draw much of mine. He achieved the delicate solidity of flowers perfectly to me in these pieces, it's beautiful. I'm a big sweater fan and these are so cool. And the flower detail here is so perfect, I love this dress so, so much. It would look amazing on someone with darker skin too so you could see more of the detail. You can see the detail here in the black and that pop of colour... I love how the shapes of the dresses themselves are extremely simple and forgiving. The same amazing mix of red and black detailing. This is a very special suit. The flower motif carried to the extreme. I am not entirely sure I can wear this, or that anyone could without creating an uproar, but I dare a celebrity to try! Christian Siriano's first resort collection was beautifully done, with great styling - I love the heels and round frame lenses in every shot. These fabrics look like watercolour, and I love the proportions of the blouse with the pencil skirt. This dress reminds me of one of Gwen Stefani's Met Gala gowns, I love this little dress and wish I owned it. This dress is nothing short of amazing. 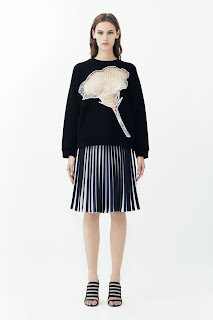 It feels like this insane sea monster is about to rise out of her skirt and I LOVE IT. And I felt I had to show the stripes that were in a lot of the collection. Well more like chevrons at this angle. This dress is also very beautiful. Now I do have a toddler, so I am going to leave this at this, since she is trying to bash in my keyboard :D So many more collections to be inspired by!! !